Very quiet neighbourhood, walking distance from a footy field and a park. It’s a 4bed 2bath newly renovated house. The room has a ceiling fan and built in wardrobe with more wardrobe space If needed. The kitchen has all the appliances including fridge and the laundry has a washer and dryer. You would generally have your own bathroom except for when we have guests. Only looking for one roommate. The house is across the road from a park in a quiet street. Close to shops, train station and a short drive to the bay. I do have a friendly dog, that’s an inside outside dog. Hi. I’m a forty something, empty nester, looking for a compatible fun, friendly, housemate. Clean and tidy. Modern living. Quiet place, can’t hear the road or neighbours normally. Plenty of areas so we don’t need to be on top of each other all the time Pool and an additional outside area away from the pool as well. House is fully furnished, just bring your own linen and food. Bedroom has a queen size bed and bedside draws with wardrobe and ceiling fan. Happy to accomodate short term or people transitioning between places. We’re a pretty easy going people. There is air con downstairs in the main area of the home, we have Netflix and Stan accounts hooked up to the main tv that you can watch, we also have a dog so you can pat him anytime you’d like. Your room will be fully furnished and the bathroom is “shared” but only because it’s the only room with a bathtub, most of the time it will be yours alone. This is a brand new house, never lived in before so all it has that new house smell still. Two storey townhouse, 2 bathrooms with extra toilet downstairs. Pool onsite and Onsite Managers. Located in nice quiet street. Gated complex. Great location near servo and good transport links and great site amenity. Clean and tidy townhouse well furnished with outdoor courtyard. All bills included including unlimited internet, three bathrooms, small garden, large shared pool and bbq area and tennis courts. Great local area - bus stop 2 min walk, 5 min drive to train station, next door to shops (Aldi, Chemist, Doctor, Coffee, Newsagent etc. ), short walk to cheap workers club, 5 min drive to Wynnum Plaza, pub and all fast food. Situated in a quiet estate near public transport, shops and local cafés. This brand new property features a modern kitchen, living room with A/C and Netflix, a commanding balcony great for summer BBQs, plenty of storage space in garage and a car wash within the complex. The weekly rent includes all bills and internet. The room itself is on the top floor, away from the general living space which will give you lots of privacy. 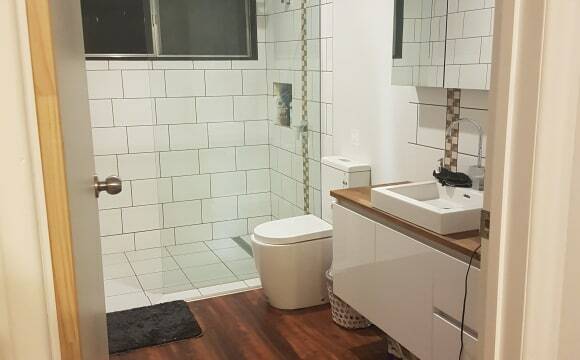 The weekly rent includes a shared bathroom with one other female which features a large counter top with plenty of storage and a shower/bath combination. The bedroom features a large mirrored wardrobe with plenty of storage. The room is furnished with a new double bed, all required fittings and study desk and chair. 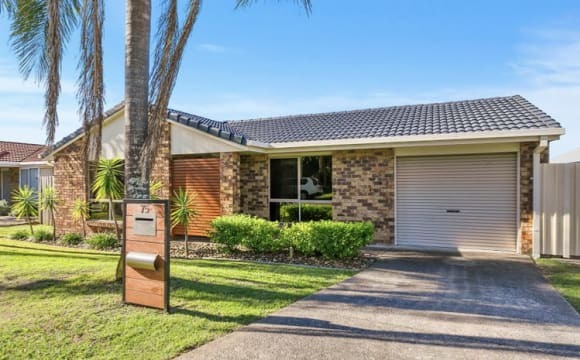 Beautiful house located in the heart of Wynnum, 20 minutes from Brisbane city. House is located 6 minutes away from wynumm north train station. Hello! Emily here, 28 - good mix between homebody and social butterfly 😁 hoping to find a mate (someone similar to my age) as well as a reliable and friendly, but personal space respectful house mate. House is located in a friendly estate - we wave at the neighbours. Pretty easy going household. General tidyness, respect and a good balance of private and social. There is a medium sized outdoor patio, I'm a recent ex smoker so kinda preferring a non smoker but open to chatting with options. My dogs are usually inside if I'm home, unless it's cleaning day. They are my world and also have some special needs, so definitely looking for a lover not a tolerater. The room gets very hot during the day (all the bedrooms do) there is a pedestal fan in the room - so no night shift workers please. 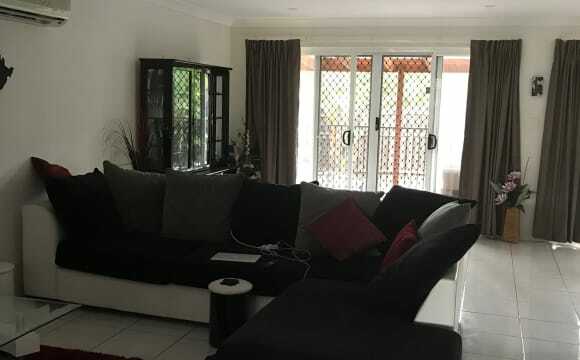 Air con in living area which I generally only run if I'm home during the day (weekends) by the evening, once the house is opened up it cools down pretty quick. Room can be fully furnished with queen bed, side table and dressing table with big mirror. Or unfurnished whatever is required. Also have a bird who lives in his cage. He can be a bit squaky at times, but other then that you wouldn't notice him. Ceiling fans throughout - aircon in the living room. 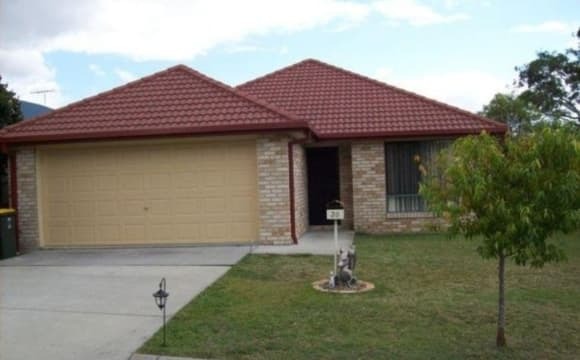 Walking distance away from the local train station, shopping centres and supermarkets. 3 bedroom house, 1 bathroom &amp; study. Fully fenced backyard. Kept very clean and tidy. 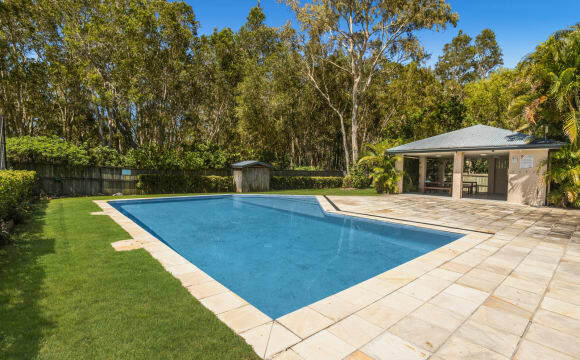 Looking for some people to join us at this gorgeous property in Tingalpa! Open to couples in the master room (with en-suite + aircon). Gas cooktop, air con in living areas, built in wardrobes, ceiling fans and undercover outdoor area. This property is in a quiet street and has one garage, but has the possibility to have more than one car off the street (but not undercover). I am looking to apply for this property, but will need 1 or 2 more tenants depending on the arrangement! Two living areas. Modern kitchen w. dishwasher. Outlook to Moreton bay. The bedroom comes with triple built in robe and has ducted aircon and a ceiling fan. It is close to the bus stop and a short drive to a train station. It is close to the Wynnum foreshore and cafe precinct. Everyone living here is in early to late 20s. Very mature household as in nobody drinks and gets wild. Very respectful and friendly. Currently one young female and two young males living here. 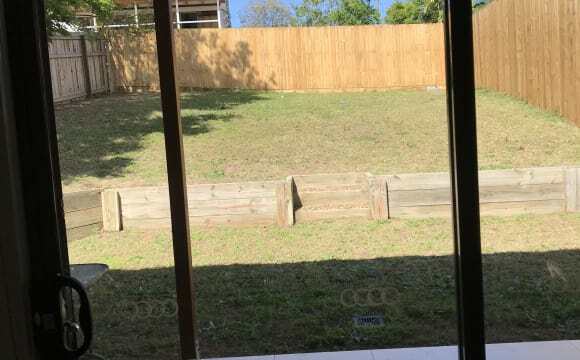 Female wanted to share Lovely large modern house in Wynnum. The house is not far from the waterfront, parklands and walking tracks. Public transport is excellent with a bus stop out the front and the train station is only about 12 minutes walk. 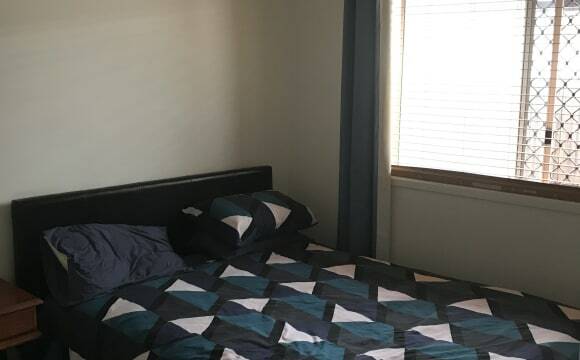 We live upstairs and rent out the downstairs area which is completely separate, you will even have your own driveway and entrance as we have dual street access. 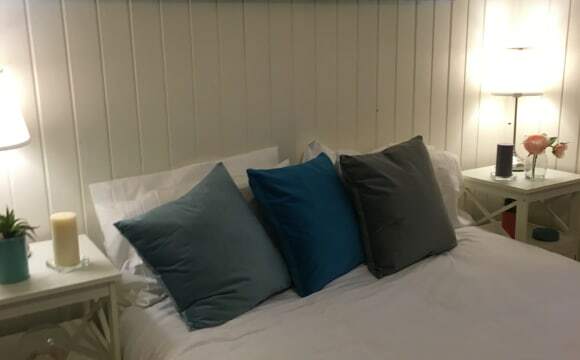 Downstairs we have two large bedrooms, kitchen and living area, laundry, deck and bathroom. You will be sharing with one Female who works and studies. 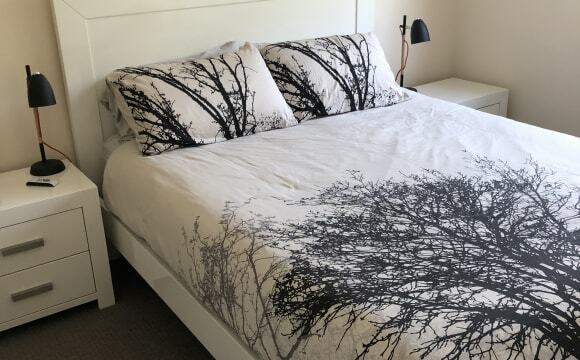 You can choose whether you want your bedroom furnished or not. The bedrooms also have built in cupboards. Price includes everything, internet, electricity etc. A totally self contained 1 bedroom 1 bathroom granny flat with seperate combined lounge dining and kitchenette (no oven) . Parking at front door. Home is a new Hamptons style home. The flat does not have any yard and is not suitable for pets or children. Flat can be furnished if required but will incur a little extra cost which can be negotiated. The home gets the lovely bay breezes as it on the top of the hill just 4 blocks from the beautiful waterfront that has walking and bicycle tracks. 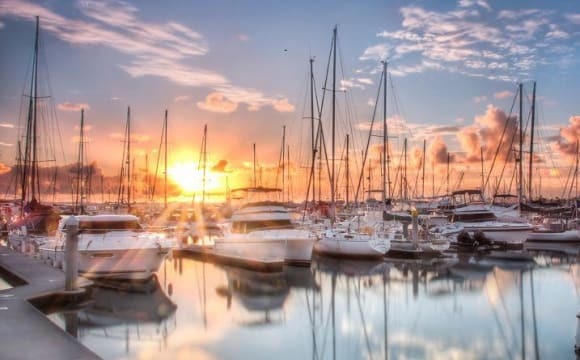 8 mins walk to the entertainment area of Manly Village which includes restaurants, hotel and clubs including the largest yacht club in the southern hemisphere and markets every weekend and local heated pool. 8 mins walk to Wynnum business district that has Coles and Woolworth, library, medicare, banks etc. 8 mins walk to the Manly train station that has express trains to the city and 2 mins to the bus stop. Wynnum will have a new Cinemas complex completed next year and is the new trending place to live. The street is very quiet with great neighbours. Unlimited Internet is available but not included in rent. We have a tidy 2 bedroom home. Your room comes fully furnished. You will have your own bathroom as we have an en-suite for us. Netflix is included on TV, there is also a pool in the complex to use. House has Air Conditioning and is fully furnished. There is unlimited internet and all bills are included in rent. (Please note: The photos I've used are the real estate ones until I can get some of my own up. My furniture/layout is different. ) 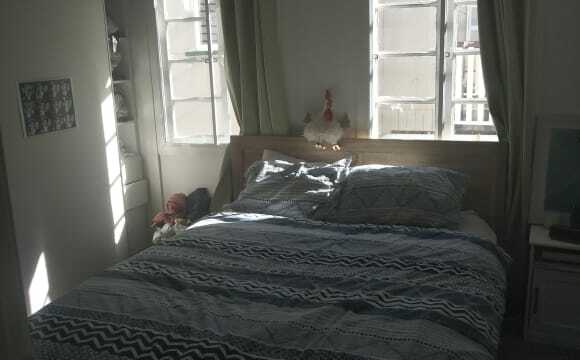 The room for rent has a king sized bed and bedside table. With built-in robe and fan. Plenty of cafes 10mins walk away. 200m from ocean front, quiet area. Unlimited internet, TV is usually available. 10m walk to manly train station. Roadside parking. About me. I 'm out working Monday - Friday, weeknights usually playing tennis or social activities. I'm a bit of a night owl but am quiet. Smoker friendly. No alcoholics. Prefer someone bit orderly, cleans up after themselves. If you have a cat that should be possible but unsuitable for a dog. 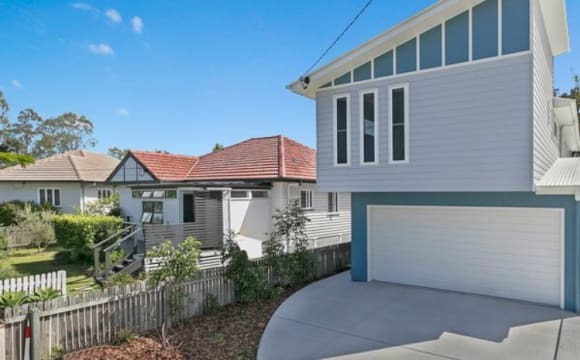 Gorgeous renovated Queenslander. 2 minute walk to Manly train station. 5 minute walk down the hill to restaurants, shops, bars, markets and beautiful Manly Boat Harbour. 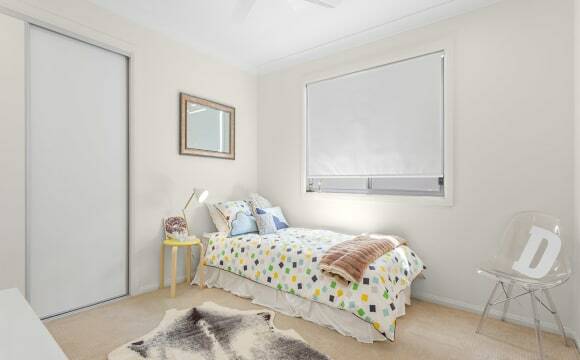 Own room, lounge room and bathroom (shower/bath) with plenty of wardrobe space. Outside smoker only please. Furnished or unfurnished. Flexible on price for anyone working Brisbane weekdays and away weekends. *On the Terraces* You will love the bright, open and positive open plan living, overlooking ocean views at Manly. Village lifestyle, executive property, friendly, peaceful environment. Train, bus all within short walk. 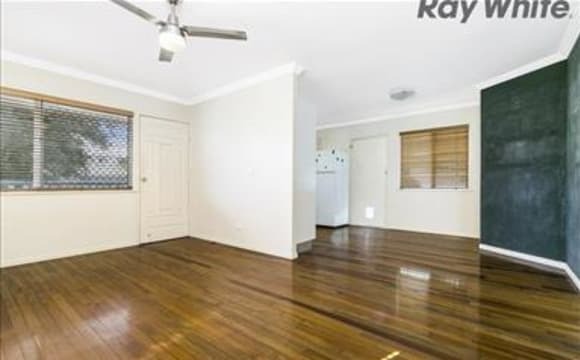 Walk to all amenities, shopping (Woolworths, Coles, IGA), cafes, restaurants, salons, professional and medical services. Manly boating marina, walkways, bike paths, gyms. Looking for an individual person to share a house overlooking Manly yacht club, in a quiet sought after street. Stunning location and within easy walking distance to the beautiful waterfront, bayside walking tracks, tapas bar , restaurants, Manly village and Manly train station. The home is both generous in size and excellent condition, there is currently one bedroom available with a shared bathroom. The home also features large living and dining area with a spacios rear deck to enjoy the view. Great location 13kms to city with bus stop just out the front that goes direct to the CBD or Westfield Carindale. Rent includes power, Internet, netflix and fortnightly cleaner. Bedroom has air conditioning, ceiling fan and floor to ceiling built in robe. Home has 2 lounge rooms, dining area and back deck and a fully fenced yard. 1 main bathroom and a second toilet. Home is nice quiet and relaxed as we are both working full-time amd like to just chill. Pool, tennis court, beautiful gardens. Minutes walk to train station and bus. Walking distance to the waterfront. Electric gate for security. Two toilets one bathroom. Carpets upstairs, tiles downstairs. Double carport.